ABU DHABI, 14th April, 2019 (WAM) -- UAE society continues to carry on values of community, fraternity and care for individuals in need. 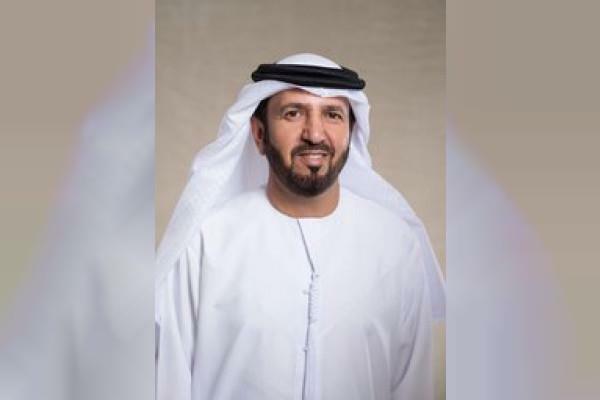 Inspired by "collective faith, values, and heritage", a UAE-based fund has announced that it seeks to assist 100 inmates during the Holy Month of Ramadan. The Faraj Fund has a central mission to provide inmates and their families assistance via debt relief, family support, and airway ticket campaigns, among others, to ensure that this segment of society gets a second chance. Since its launch in 2009, the Faraj Fund has helped 11,154 inmates in penal and correctional institutions from over 50 nationalities, Nasser L'Khrebani Al Nuiami, the fund's Chairman of the Board told Emirates News Agency, WAM. Al Nuiami shared some campaigns the fund carried out during the Year of Tolerance, and those that it will pursue during the Holy Month of Ramadan, where it seeks to pay off the debts of 100 inmates. The fund will also see to assist 48 inmates during the UAE's 48th National Day celebrations this year, he added. The chairman told WAM that Faraj Fund does not discriminate, and seeks to assist individuals incarcerated regardless of their nationality, race, gender, faith or economic status. This was the approach of the late Sheikh Zayed bin Sultan Al Nahyan, he explained, adding that this has been ingrained in UAE society, and has been carried forward by the UAE leadership, who ensure the values of justice, equality and respect are core beliefs within each member of the community. Al Nuaimi noted that the fund works with corporations and institutions in the UAE within corporate social responsibility initiatives and frameworks, enabling the fund to carry out its mission, while also raising awareness within these organisations, and encouraging volunteerism and charitable work. He went on to explain that the fund supports families of the incarcerated, who often find themselves in difficult economic circumstances, as they previously relied on the financial support of their loved ones in prison. Al Nuaimi said that up until 2018, the Faraj Fund has been able to assist 1,800 with financial aid so that they overcome economic burdens and continue to build their lives. The fund, Al Nuaimi explained, focuses on supporting individuals incarcerated for financial issues. "We work to relieve the financial burdens these inmates face, by raising funds to eliminate outstanding debts that they are unable to settle while in prison." He said that fund receives applications that are carefully assessed and evaluated by a committee, who then provides a recommended course of action to the Faraj Fund team. Currently, the fund considers five categories for individuals who need assistance. These include those struggling to repay loans and civil debts; those struggling to pay for airline tickets once deported; those struggling to support their families abroad; those struggling to pay ‘Diyyah' (a payment, under Islamic law, to compensate the victim, or their heirs, in cases of murder, bodily harm or property damage). It also considers individuals struggling to pay their legal fees, court fees and penalties.